JENNY GREENE and the RTÉ Concert Orchestra, which was the fastest selling music gig in Galway International Arts Festival’s 40-year history, have announced they will return to the 2018 festival. 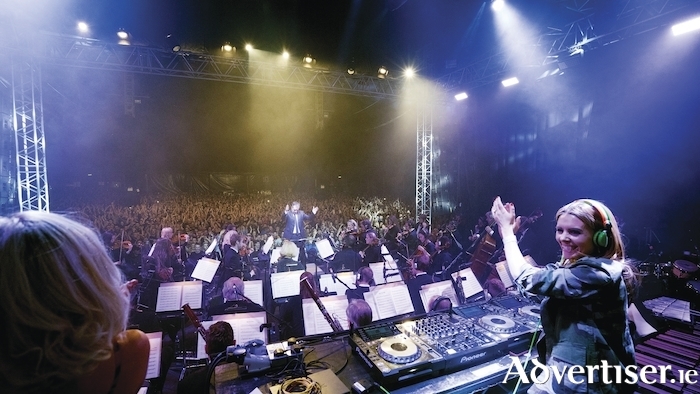 The 2FM DJ and the 48-piece concert orchestra, under conductor Gavin Murphy, will play the Festival Big Top in the Fisheries Field on Sunday 29 July. They will be joined by vocalist Gemma Sugrue. Together they will play dance anthems, club classics, and classical music with a dance beat. Expect to hear 'Silence', 'Adagio for Strings', 'Everybody’s Free', 'Insomnia', and 'Missing'.